While recovering from the Wisconsin trip, I have neglected the blog for about a week. What that means, of course, is that we’re behind on our cocktail cataloging! Shake with ice and strain into a chilled old-fashioned or rocks glass. Garnish with a cherry and a lime wedge. By Robert Hess, for Chopsticks in Seattle. Good, and definitely different. I would hesitate to call it a Mai Tai variation, as Mr. Hess does, but if that was the original inspiration, so be it! The elderflower/almond/lime combination works wonders, especially since the orgeat includes rose water. Combined with Catoctin Creek gin, which has a definite wheat/rye/grain flavor in addition to the sharp (but not heavy) juniper and botanicals, the lime juice and sweeteners yield a drink that is on the sweet side (but not cloying) with an interesting, floral medley of flavors: a unique taste. I could definitely see this accompanying Chinese food, as Robert Hess intended; it would be a perfect counterpoint to a spicy Asian dish. The next night was pizza (normally we do pizza Friday night…Dad’s only been making for 30 years), and usually I’m lazy on pizza nights when it comes to drinks, settling for wine or Aperol. After seeing the Bitter Mai Tai in the latest Imbibe, however, I figured that a Campari drink would do nicely, and it makes use of that same batch of orgeat. Shake all ingredients with ice and strain into a double old-fashioned glass filled with crushed ice. Granish with a mint sprig. By Jeremy Oertel, of Dram in Brooklyn. Wow, a really intriguing Mai Tai variation. Essentially, you’re switching out one of the rums for Campari. I followed Oertel’s suggestion and used Smith & Cross, which is, for those who don’t know, a very strong-flavored, funky rum. First introduced to me by Grant Hurless of Nostrano in Madison, you can frequently use it as an additive, as you would bitters. The rum almost steals the drink away from the Campari. There is just enough bitterness in the aftertaste: any more or less, and I don’t think it would work. The other flavors of the Campari–the herbal, fruity notes–are allowed to come through here, probably highlighted by the curaçao and orgeat. Not a super-sweet drink, but there’s enough sugar in there to work with the full ounce of lime juice. 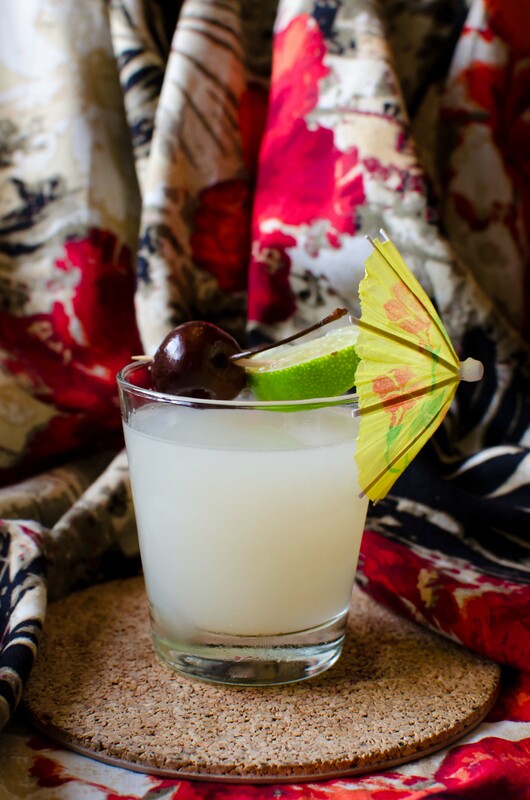 The end result is a perfectly-balanced Tiki drink (as all Tiki should be! ), slightly on the bitter side and, amazingly, a different color than almost all other Tiki drinks! 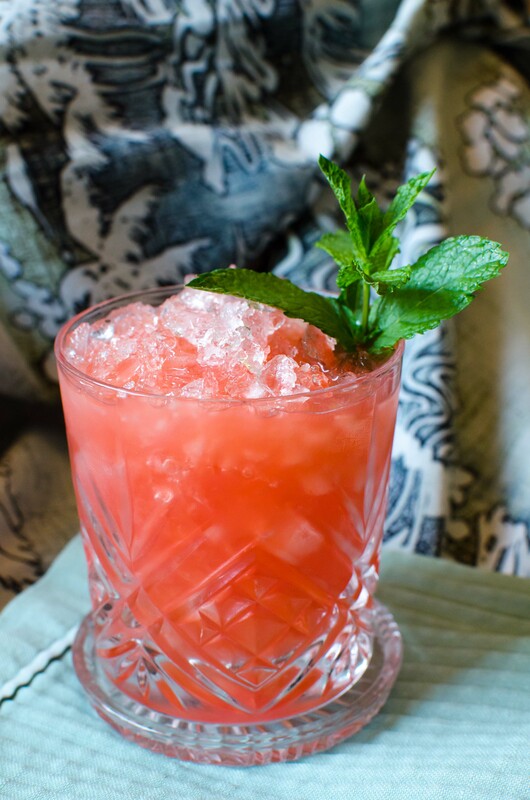 This entry was posted on July 23, 2011 by IJ Lauer in Campari, Drink Recipe, Gin, Orange Curacao, Orgeat, Rum, St. Germain Elderflower, Tiki, Uncategorized.